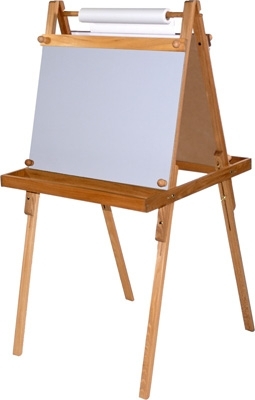 Weber's Legacy family easel is hand made wooden 2 sided easel. 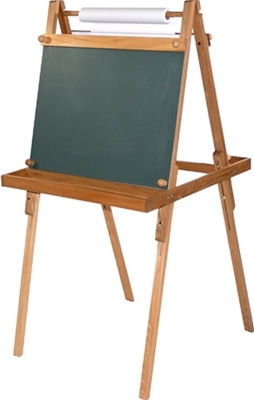 One side is chalkboard the other a dry erase board. Roll of paper is included. Non-skid feet. Height adjusts from 47 to 57"high. 26.5"wide.